Got a vision? We’ve got the home theatre solution! Initial consultation with you forms the basis of our plan, and from there, we create a home theatre design that suits your needs and budget, and, of course, suits the area to be used. Then, we safely and efficiently bring your home theatre dreams to life! We take into account specifications – like the size of the room – to create an entertainment experience even the big cinema chains will envy. The home theatre trend is increasing throughout the Melbourne area: more people are realising a luxurious home theatre is actually more attainable than they might have originally thought! Project your favourite movies with a cinema-like experience using a projector unit or a screen! A retractable projector unit can be hidden in a wall or ceiling providing a cleaner and neater space when it’s not in use. Alternatively, you can opt for a large plasma or LED TV for your home theatre. Consider whether you want a TV that can connect to Wi-Fi, too! You mightn’t realise just how heavy television screens can be. Unacceptable wall mounts pose an extreme risk, so always choose a professional who’ll provide you with the correct mounts for the size and weight of your television. Now that your impressive screen is fixed in place, we’re nearly ready to begin the movie marathon. What good is the cinema room without exceptional audio? 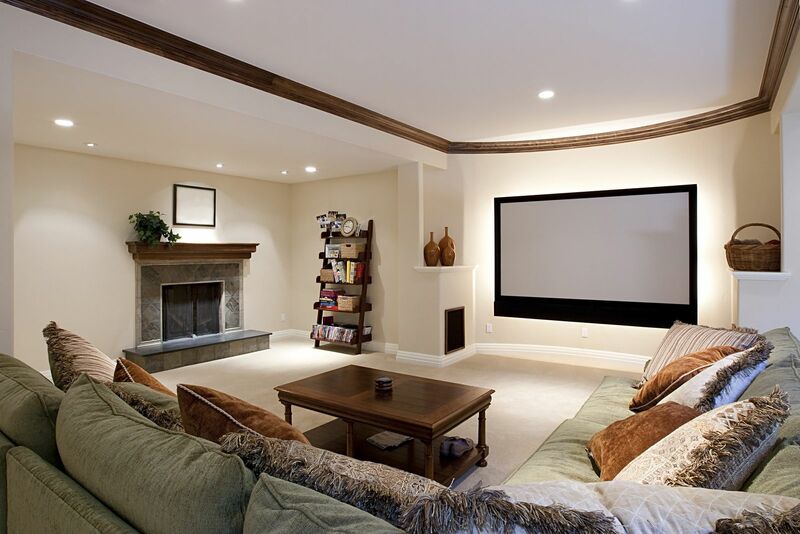 Surround sound completes the home theatre experience and speakers should be put in the right location to achieve this; let Briggs Electrical devise the right solution for your space!